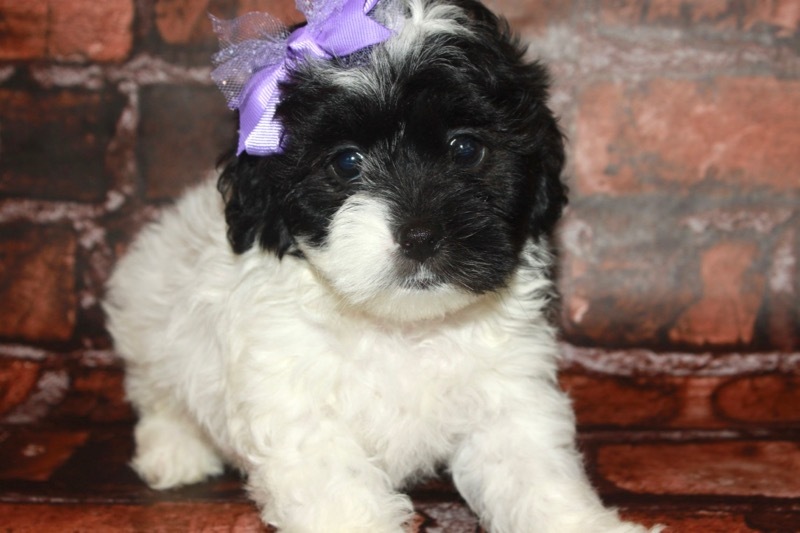 Stella is a super cute little Shih Poo! 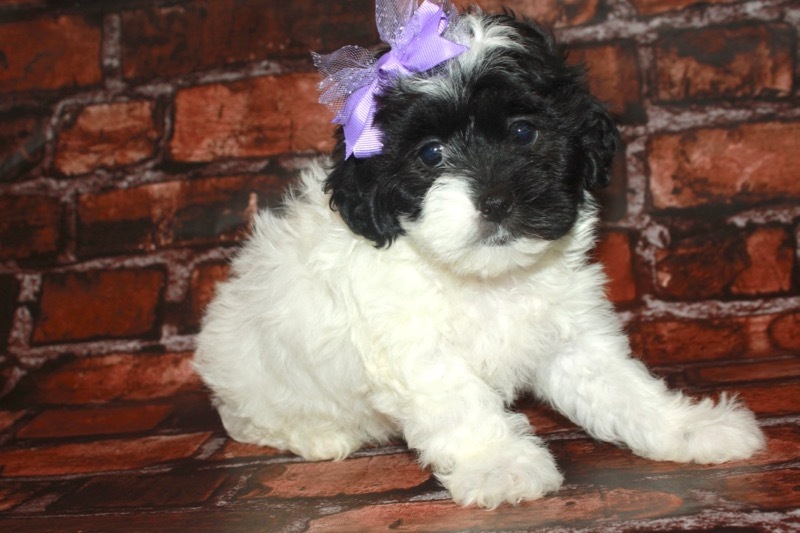 Her mom is Mercedes, our registered Shih Tzu and her dad is Howie, our registered apricot Miniature Poodle. 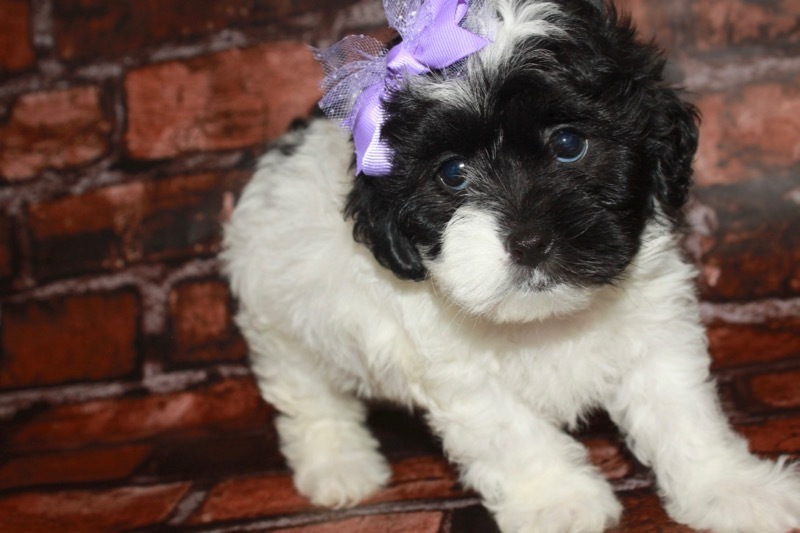 Her coat is mostly white with some black spots. 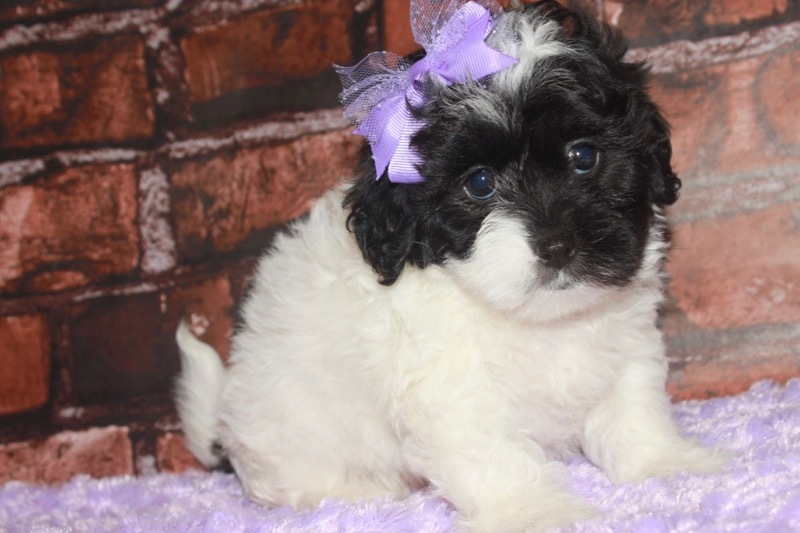 I expect Stella to weigh around 7-8 lbs when she is full grown. She is non-shedding and hypo-allergenic. 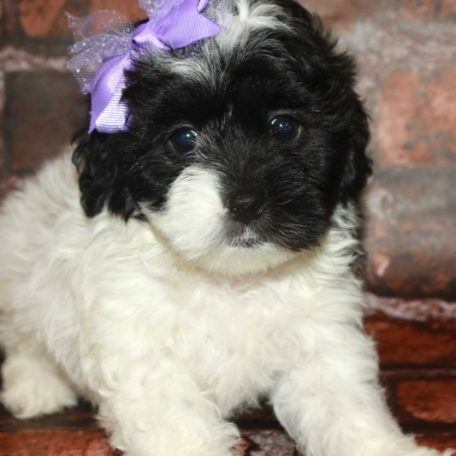 She will be ready to go around May 1, she can be reserved now. 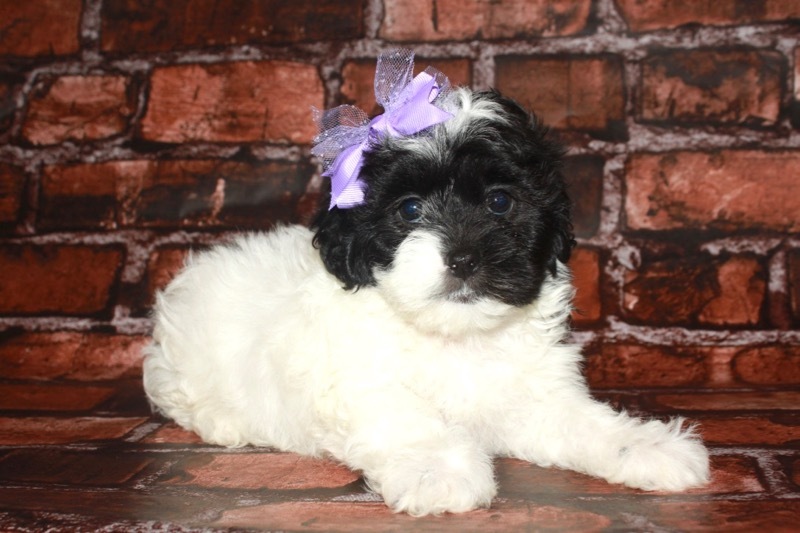 Francie is reserved for Tara! 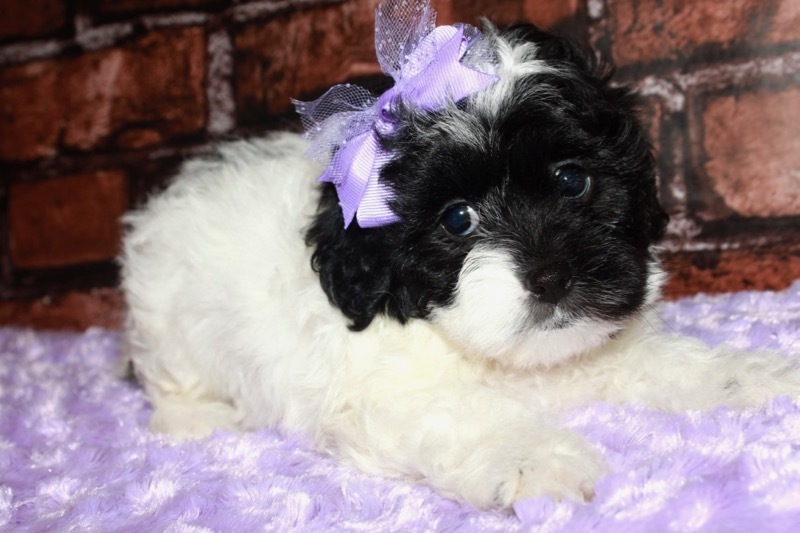 Francie is a gorgeous little Shih Poo! She has a dark coat with some lighter under coat. 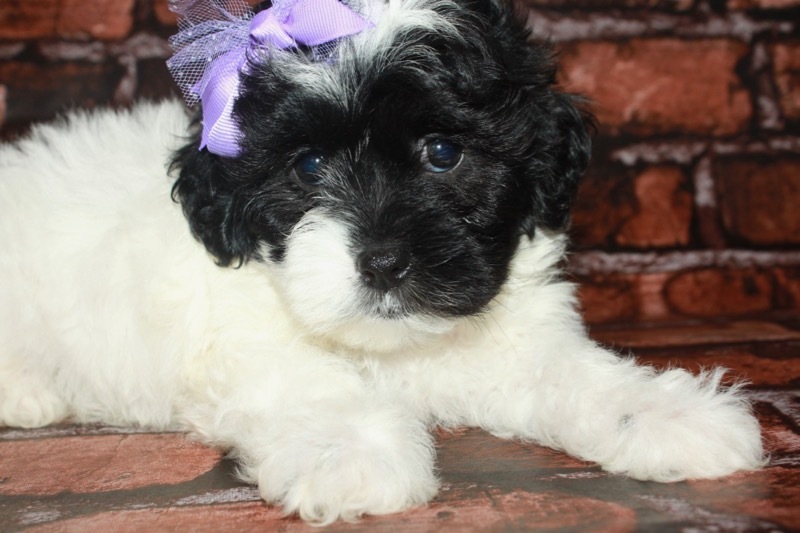 Her mom is Millie our registered Shih Tzu and her dad is Howie our registered Miniature Poodle. I expect Francie to weigh 8-10 lbs when she is full grown. She will be ready to go around May 10. 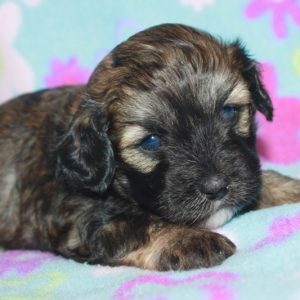 Snickers is a sweet little Shih Poo! 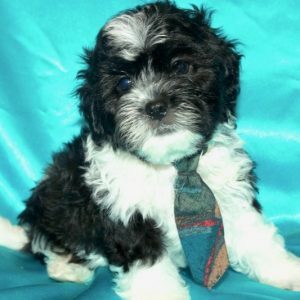 His mom is Mercedes, our registered Shih Tzu and his dad is Howie, our registered apricot Miniature Poodle. I expect Snickers to weigh around 8-9 lbs when he is full grown. He is non-shedding and hypo-allergenic. 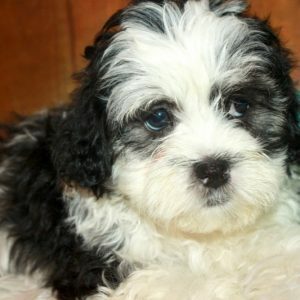 He will be ready to go around May 1, he can be reserved now. 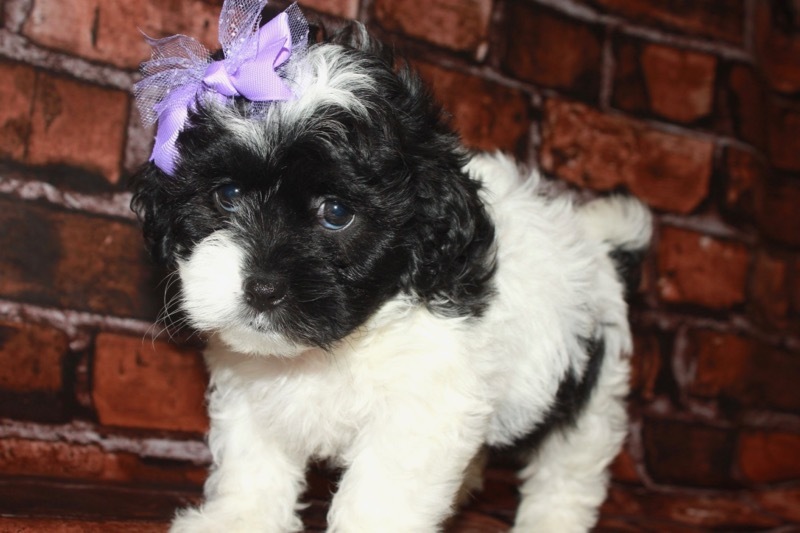 Shadow is a beautiful little Shih Poo! 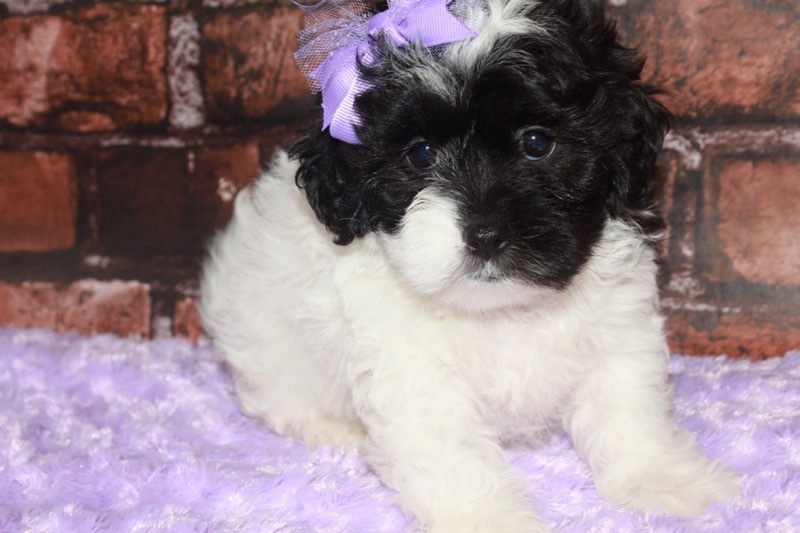 His mom is Mercedes, our registered Shih Tzu and his dad is Howie, our registered apricot Miniature Poodle. I expect Shadow to weigh around 8-9 lbs when he is full grown. He is non-shedding and hypo-allergenic. He will be ready to go around May 1, he can be reserved now. 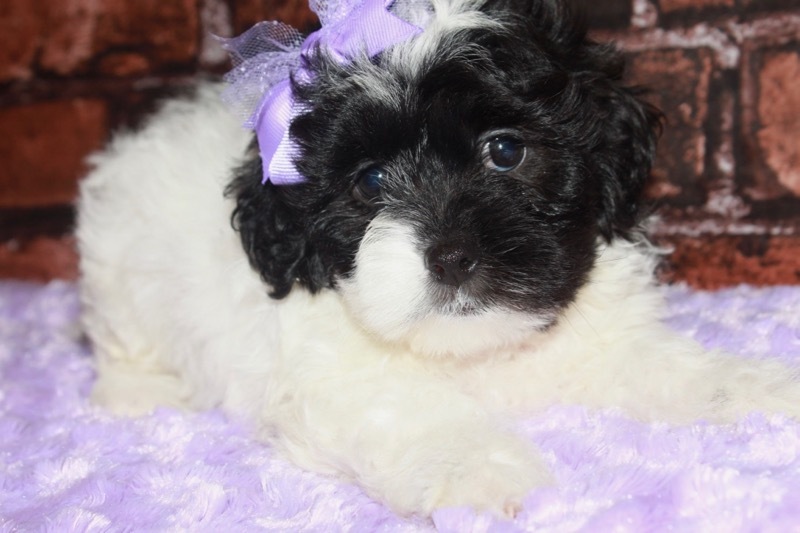 Spike is reserved for Cierra! 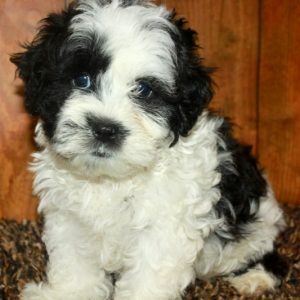 Spike is a sweet little Shih Poo! 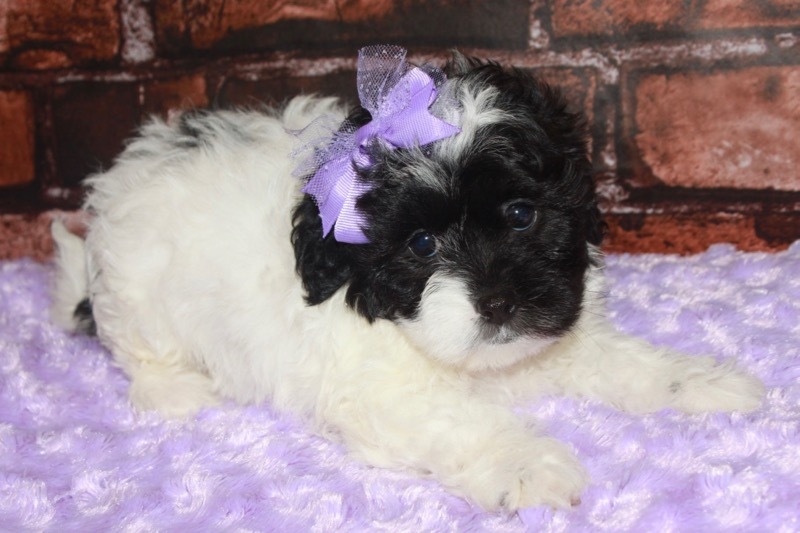 His mom is Mercedes, our registered Shih Tzu and his dad is Howie, our registered apricot Miniature Poodle. 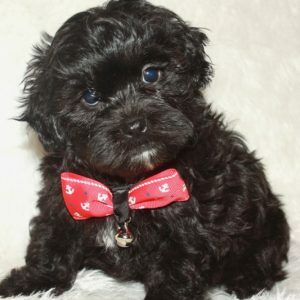 I expect Spike to weigh around 8-9 lbs when he is full grown. He is non-shedding and hypo-allergenic. He will be ready to go around May 1. 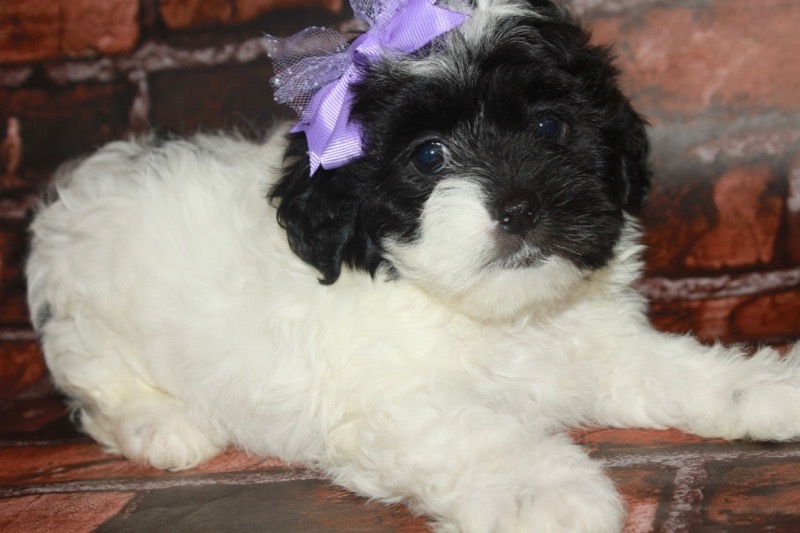 Smokey is a gorgeous little Shih Poo! He has a solid black coat with just a bit of white on his chest and chin. 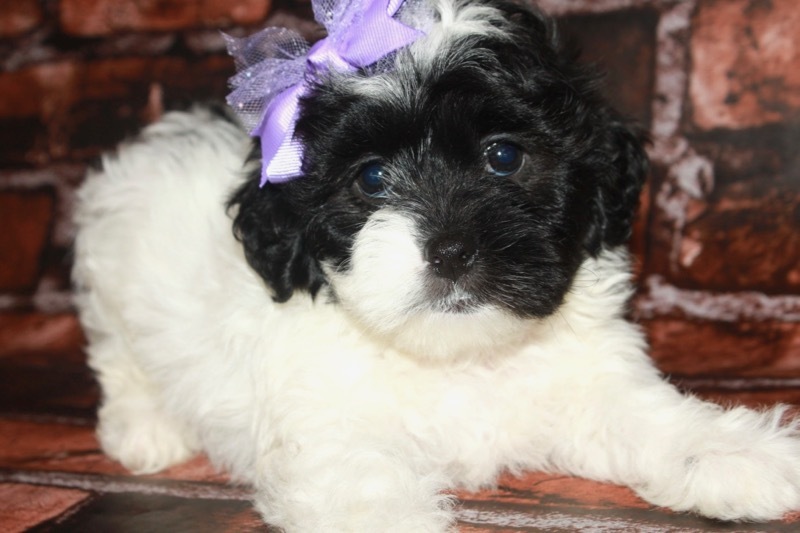 His mom is Mercedes, our registered Shih Tzu and his dad is Howie, our registered apricot Miniature Poodle. I expect Smokey to weigh around 8-9 lbs when he is full grown. He is non-shedding and hypo-allergenic. He will be ready to go around May 1, he can be reserved now.